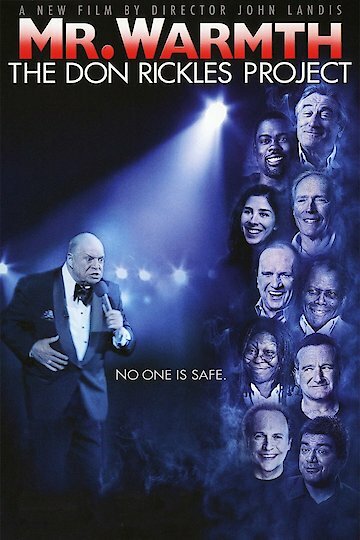 A hilarious feature comedic film that reveals the background of one of biggest the legends of comedy, Don Rickles. This film consists of some of Don's show, and also interviews in which he is saluted by some of biggest comedians of today. These comedians, young and old, state hoe Don, and he comedic genius is one of the classics who they aspire to and even emulate in their own comedy styles. This film includes over thirty interviews from actors, directors, and various other people from Don's life. These men and women reveal some of their unique stories and tell how some chance meetings and personal connections pushed them forward to new heights of comedy. Also included are some of Don's home movies, clips from the Tonight Show, and other TV shoes, also from some of the movies he has been in. All in all it is a wonderful, hilarious film about a wonderfully hilarious man. Mr. Warmth: The Don Rickles Project is currently available to watch and stream, buy on demand at Amazon, Google Play, iTunes, YouTube VOD online.